Vision of a Digital India is to empower every Indian citizen with access to digital services, knowledge and information. Digital India also aims to bridge India’s digital segment and bring big investments in the technology sector. Digital technologies are being increasingly used by us in everyday lives from retail stores to government offices; from small businesses to large corporates. They help us to connect with each other and also to share loads of information that affect consumer’s sentiment and behavior to a considerable extent. 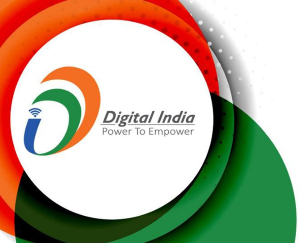 While Digital India is currently talk of the town, according to me, digitalization and new internet era for India all begins with a small yet a primary and most important step towards the same. A domain name/a unique web address. After all, it all begins with a domain name. If you or your customers are based in India, then we highly recommend that you register – India specific domains like .IN, .CO.IN, .BHARAT, etc. Even more, consider including your city or state in your domain name to make it easy for local customers to find. Example: ahmedabadmirror.in. If you already have a web address, you don’t need to replace it – you can instead use the new one to set up a secondary website that focuses on a specific audience. Did you know! This would also help you to rank higher and better on the search engines and reach out your target market better. The very first domain name ever registered was Symbolics.com on March 15, 1985. Since then over millions of domain names have been registered worldwide. Generally .COM, .NET have been the most famous ones. However, times have changed. Since last year, following ICANN’s (Internet Corporation for Assigned Names and Numbers) decision, hundreds of new generic domain name extensions – known as GTLDs – have been released, which have altered the internet landscape. The release of new country specific gTLD’s have changed the way businesses and consumers use the internet and offer enormous digital marketing opportunities. New country specific gTLDs, are domain extensions that go beyond .com, .net, .org and the other domain strings we’ve been using so far. Names that are more niche and enable people to register them to target a more focused audience. There has never been a better time to buy a local domain. The .IN domain name creates and builds a distinct Indian identity for brands, companies and individuals in the cyberspace. .IN, the unique web address space of India, is impacting the virtual space. A space where all the Indians imagine, innovate and interact. An address which is backed by world-class technology that is secure, affordable, available, reliable, fast, and truly Indian. Be a part of India’s brand and reputation. The .IN domain name gives people, organisations and businesses the opportunity to clearly identify themselves as Indians. 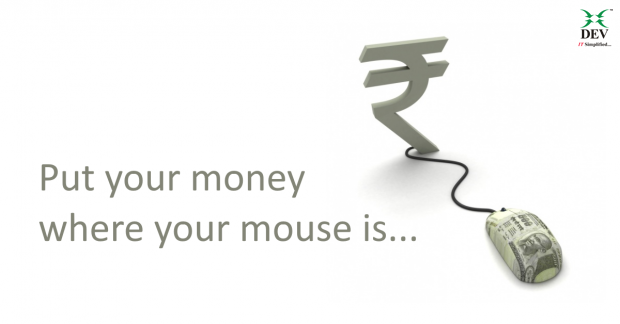 The domain name extension is also an ideal branding tool for anyone who want to appeal directly to the Indian audience. Stand out from the crowd and clearly tell consumers and customers where you are. Businesses in India want to do business with other businesses in India. People and businesses in other countries also seek out Indian companies. Identify yourself directly with India – perfect for businesses, organisations and individuals, thus creating a memorable and more ‘distinctly Indian” domain name extension. Show that you are part of India with a shorter, sharper .IN domain name. Hundreds of thousands of people worldwide have been registering new domain name extensions and setting up websites for them. The good news is, there is now a much larger choice of domain name extensions for you to choose from. You now have a much better chance to get a unique domain name – one that describes exactly what you do, and helps you target your desired audience. Get noticed– There is a lot of competition out there. Get a relevant, memorable Indian domain name and let everybody know what you’re involved in. Boost your online presence– Tell people exactly what you do e.g. YourName-builder.co.in, YourName-plumber.in, etc. Widen your brand– You don’t have to be limited to only one domain name. Thousands of businesses have registered additional domain names to promote other services/products that they offer – why don’t you join them? Expand your brand. Don’t limit yourself. Find your very own .in domain and visit your favorite registrar to purchase it today!